This first definitive retrospective of the Easy-Bake(R) Oven celebrates its journey from children's toy to pop culture icon. The book explores the innovation, history, economics, commerce, advertising, and marketing behind the toy's 50 year history. 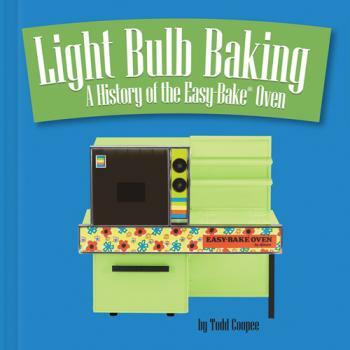 Light Bulb Baking garnered two awards: Silver Best New Voice (non-fiction) Independent Book Publishers Association (IBPA) Benjamin Franklin Award and Bronze Best Regional Non-Fiction (Canada-East) Independent Publisher Book (IPPY) Award.